This book was originally written about 1930 by A.J. Pollock of the United Kingdom and was rewritten by Roger P. Daniel for readers of the 21st century. Historical data and other facts have been brought up to date. 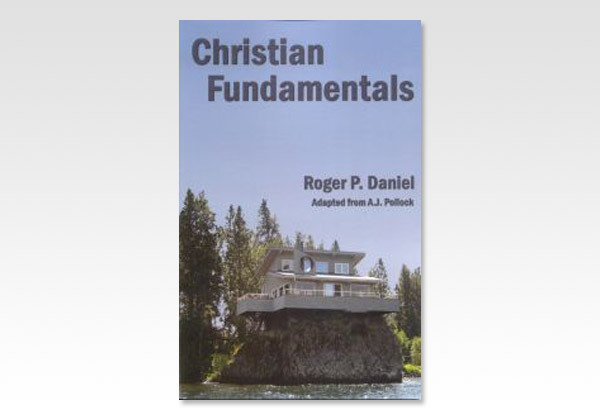 The Bible and the Lord Jesus Christ are the themes of this book. The Bible has remarkable prophecies. Some are already fulfilled when Christ came to this earth 2000 years ago, some are future. A unique feature of the Bible is that it gives an unflattering history of the very people who accurately preserved it! Only God could have caused that to happen! Does it not help prove the Bible to be God's inspired Book, written for us to learn God's will? Christian Fundamentals closes with a review of the second coming of the Lord Jesus when God's ultimate purpose for Jews, Gentiles and the Lord Jesus Christ will be fulfilled. Every Christian has a place in this! We believe you will find this to be a delightful, easy-reading book, full of interesting facts concerning our Lord Jesus Christ and His book. It will be well worth your time! Enjoy!